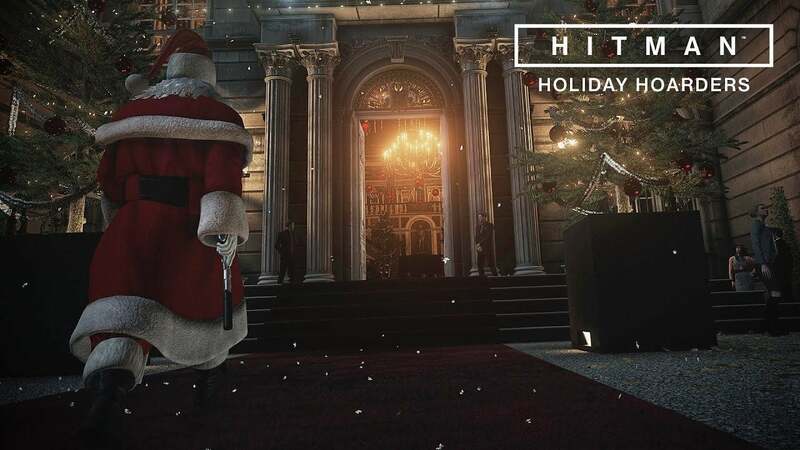 These top-notch PC games are holding special festive events to get you in the holiday spirit. Elves and flying creatures aren’t anything special in digital worlds, but that doesn’t mean your favorite PC game can’t get into the spirit of the season. These games are decking the halls, letting it snow, and even reviving Home Alone for the holiday 2016 season—and many of them are handing out unique in-game gifts for folks who join in on the festivities. Let’s start with the most appropriate holiday event of all. 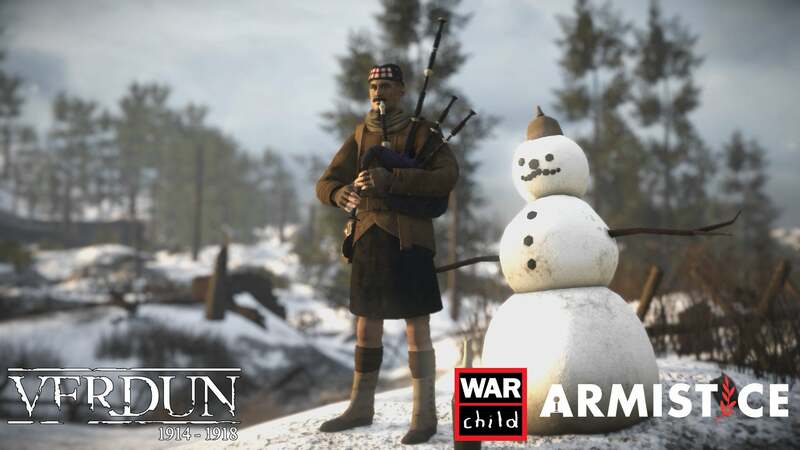 Just like last year, the thoughtful WWI shooter Verdun is recreating the Christmas Truce of 1914, when numerous unofficial ceasefires were called and enemies on both sides of the Great War celebrated the season together. In Verdun, that means carols, snowball fights, and sending Christmas cards replace the usual bayonets and trench warfare. Unlike most of the events in this roundup, however, Verdun’s Christmas Truce isn’t completely free. Unlimited access to the event (which lasts until January 2) requires making a €2.99, €7.99 or €12.99 donation to the War Child charity via temporary in-game DLC. “Regular Verdun players will be able to participate in this truce event every other third match for 5 minutes,” the developers say, and the game will be on sale for 50 percent off for the duration of the truce. 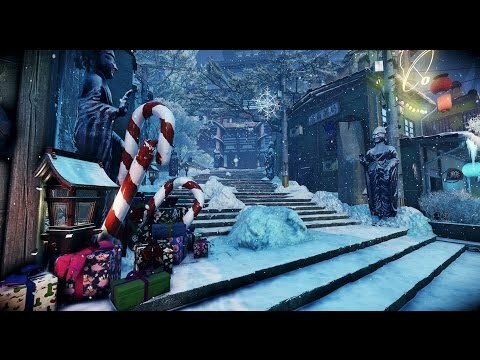 Shadow Warrior 2 adds a heaping helping of snowmen, santa hats, and candy canes to the game’s ludicrous demony gibs. 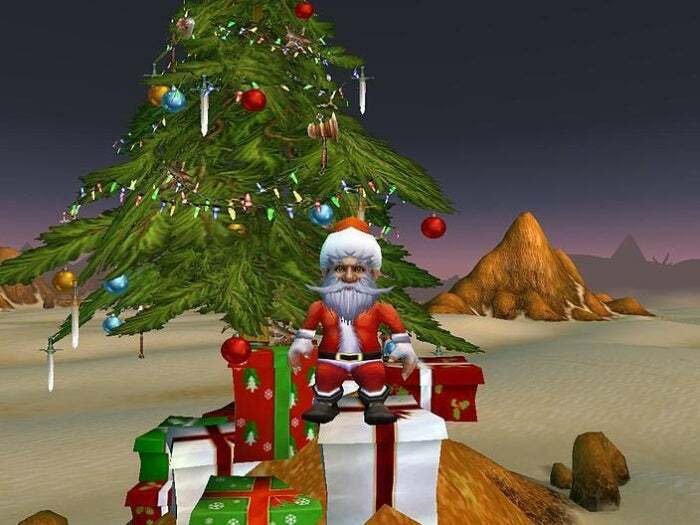 In a new quest that’s available on Dragon Mountain after you’ve beaten the “Zilla Quest” mission, “a Santa impersonator turned out to be a Santa imposter!” Help Lo Wang find the missing gifts and you’ll get one of your own. As usual, Blizzard’s all-in with the festivities as the Winter Veil descends upon the World of Warcraft. The annual event brings egg nog, holiday suits, and an ornamental dagger that looks like a Christmas tree, among numerous other tweaks. 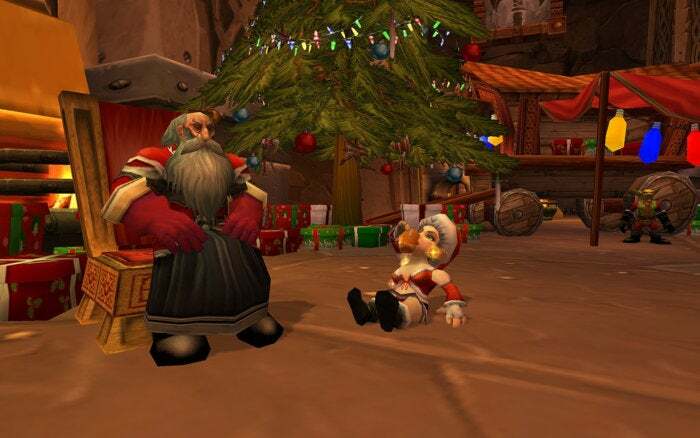 Greatfather Winter’s sledding around Legion, and Blizzard’s beckoning players to “Step into the Giant Snow Globe found outside the Ironforge Bank, in Orgrimmar overlooking the Valley of Wisdom, or in the Broken Isles in Dalaran to transform into the epitome of jolly.” Ho ho ho. Check out WOWHead’s Winter Veil 2016 overview to see everything on offer. 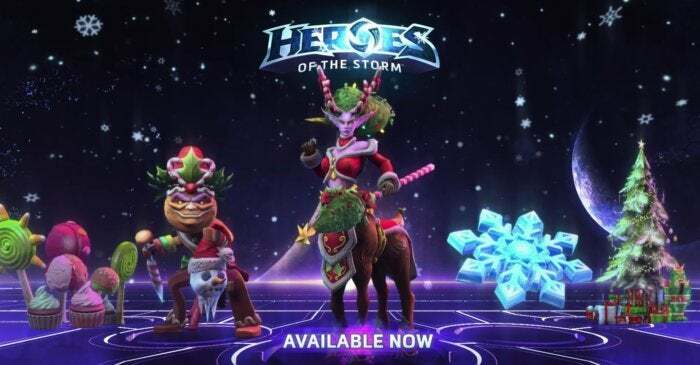 Winter Veil’s arrived in Blizzard’s Heroes of the Storm MOBA too, with all sorts of holiday-themed outfits and mounts added as shop items. Finishing 25 games during Winter Veil—which lasts until January 4—“will grant you a Special Snowflake portrait as well as permanent access to the Festive Treasure Goblin Mount,” and Blizzard will toss in 25 percent more XP after every game played during the event. The best may be yet to come: “As we get closer to the feast of Winter Veil we will also be introducing a frosty new Brawl to the Nexus,” Blizzard says. 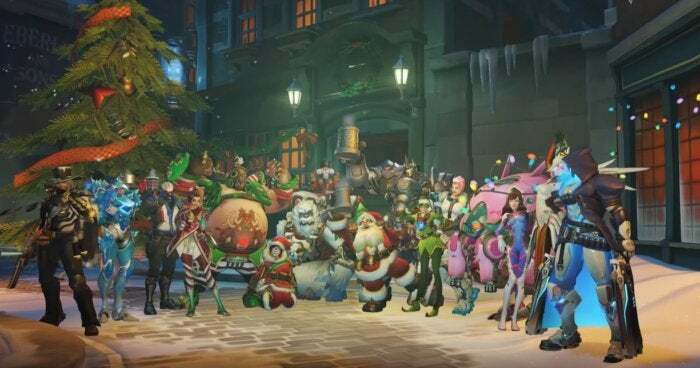 Overwatch is decked out for the holidays as well, though Blizzard’s shooter is using “Winter Wonderland” rather than sticking to the Winter Veil theme. Winter Wonderland (running through January 2) features a unique brawl of its own: the spectacular Mei’s Snowball Offensive. A new Winter Mystery mode follows the usual Mystery Heroes brawl rules, but plops players in winterized versions of the King’s Row and Hanamura levels. And the loot boxes. Oh, the loot boxes. Following in the footsteps of Overwatch’s Olympic-themed Summer Games, all loot boxes look like wrapped presents for the duration of Winter Wonderland, with each providing at least one winter-themed cosmetic item. Pharah’s legendary “Frostbite” skin lives up to the name. 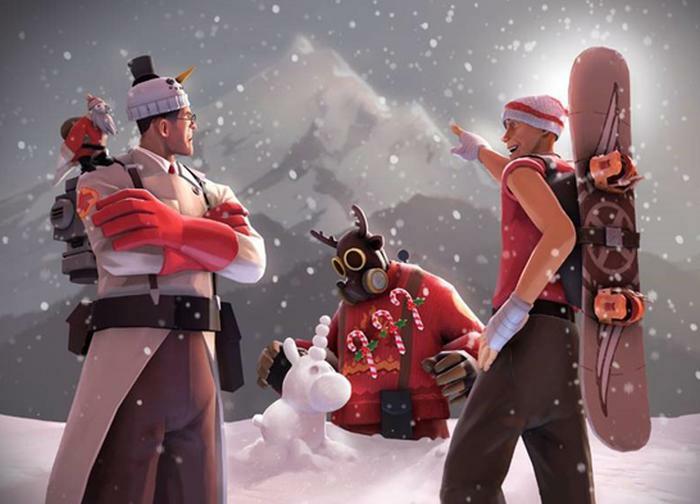 Overwatch's spiritual inspiration, Valve's free-to-play Team Fortress 2, just released its annual Christmas—sorry, Smissmas—update. TF2's Smissmas 2016 event adds numerous weapons for The Festivizer to, uh, festivize (that's a word, right? ), along with 17 new winter-themed cosmetic items in the Winter 2016 Cosmetic Case, a trio of new taunts, and 20 to 75 percent discounts on various items to get into "the Spirit of Practically Giving." And if you don't want to buy stuff, Valve's also giving everyone a Stuffed Stocking gift loaded with various goodies. The “Holiday Hoarders” mission for the delightfully great Hitman festoons the Paris level with snow, Christmas decorations, and presents—but a pair of “sticky bandits” have snuck into the fashion snow and are swindling those gifts, cackling all the while. Their names: Harry and Marv. Your mission: ASSASSINATE HOME ALONE’S BANDITS. And you can do it disguised as Santa. Hot damn I love Hitman. Gears of War 4 is hosting an alternate take on the Christmas Truce: Through the end of “Gearsmas” on January 4, Xbox One and PC players will be able to compete with each other in social competitive multiplayer matches, not just cooperative events. It’s going to be a massacre. But at least it’ll be a festive massacre! 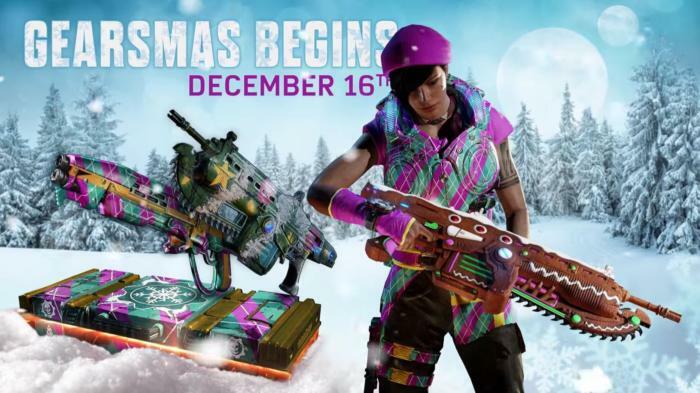 Gears is offering 28 different holiday skins, Gearsmas emblems, and “Ugly Gearsmas Armor” characters, with two popping up in each 400-credit pack you buy. (As if all the garish, searingly bright stock skins weren’t ugly enough!) 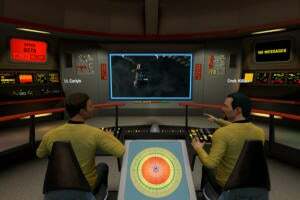 On December 27, the daily rewards system will also give you an “Ice Boomshot” if you log into the game. 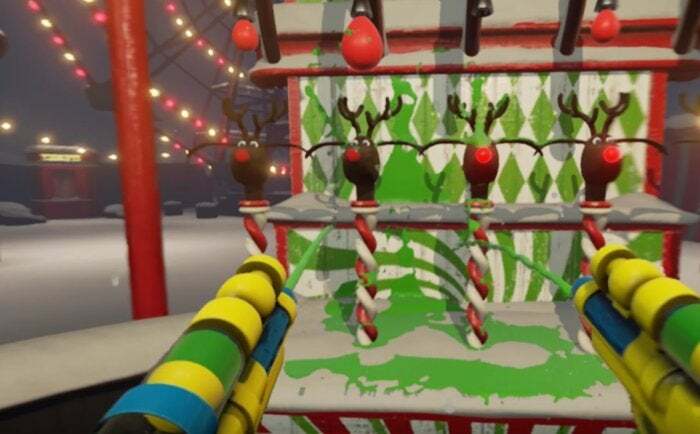 Throughout Gearsmas you’ll also find a “Snowball Fight” mode that’s a spin on traditional team deathmatches featuring the Snowshot, a version of the Boomshot that fires snowballs instead of rockets. 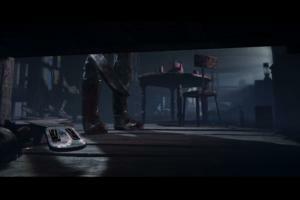 Finally, eagle-eyed gamers with open calendars may want to check out the Gears campaign again on December 25 (a.k.a. Christmas) for a new Easter Egg of some sort. 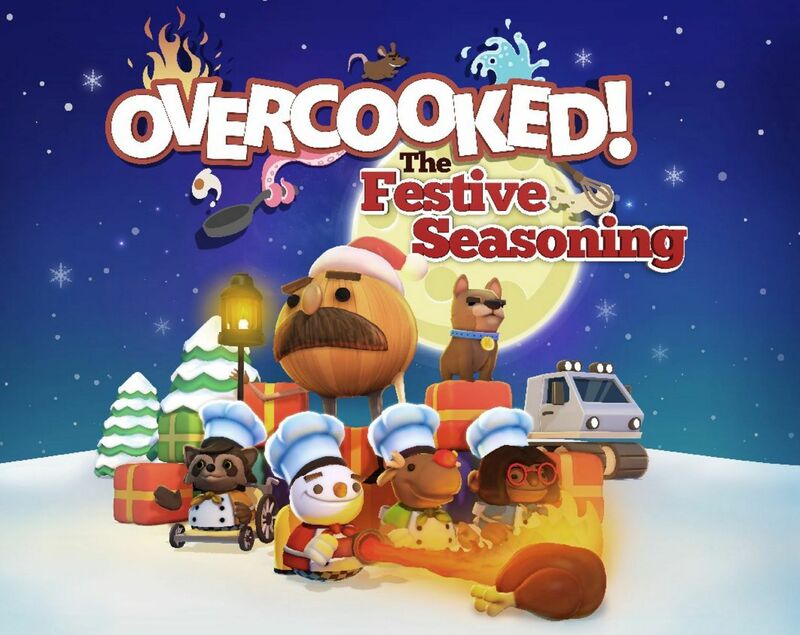 Overcooked’s fantastically fun local co-op cooking has won over gamers on Steam, and developer Ghost Town Games is giving away free “The Festive Seasoning” DLC as a thank you. Festive Seasoning adds a winter lodge theme in eight new levels, unlockable reindeer and snowman cooks, Turkey Dinner and Stew recipes, Santa hats, and an awesome new cooking tool: a flamethrower. If you haven’t checked Overcooked out yet, now’s the time to do so—it’d be a great game to play with the family at holiday get-togethers. Nvidia’s free VR Funhouse, which demonstrates the potential lurking within both virtual reality and Nvidia’s own GameWorks VR middleware by way of numerous carnival events, is surprisingly entertaining in its own right. 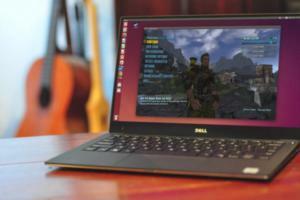 But earlier this month, Nvidia released an official Winter Wonderland mod that slaps a festive coat of paint over the experience. 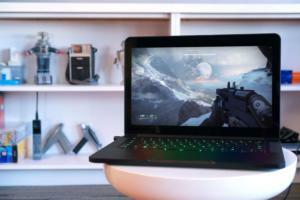 Now you can bask in the potential of Nvidia’s PhysX and FLeX technologies while shooting Rudolph with water pistols, tossing snowballs around, or just enjoying a gentle snowfall. If you have an HTC Vive or an Oculus Rift with Touch controllers, Nvidia’s VR Funhouse is one of the best no-cost demos available. 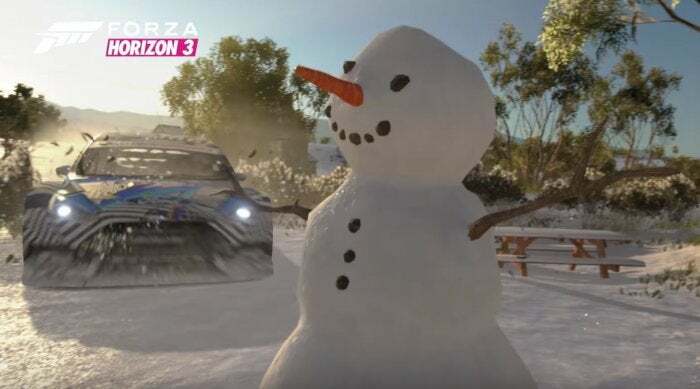 This isn’t explicitly holiday themed, but Forza Horizon 3’s new $15 Blizzard Mountain expansion drops players, well, onto a blizzardy mountain. If snowfall evokes festive feelings, it’s well worth a pickup, because Forza Horizon 3 is the best arcade racer to land on PCs in years. Did I mention Blizzard Mountain has snowmen you can run over? Because it totally does. Okay, okay, you got me. The Division isn’t running a special holiday event either. But the game’s set in a gorgeous post-apocalyptic recreation of New York that suffered disaster right after Black Friday. 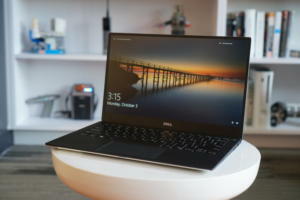 You’ll wander around snowy streets, dipping into department stores and apartments decorated for the holidays, sometimes stumbling across tree farms and the like. After you’ve upgraded your base enough a new section opens with a Christmas tree, candles, and children trading presents—illustrating the mark you’re making on the world. 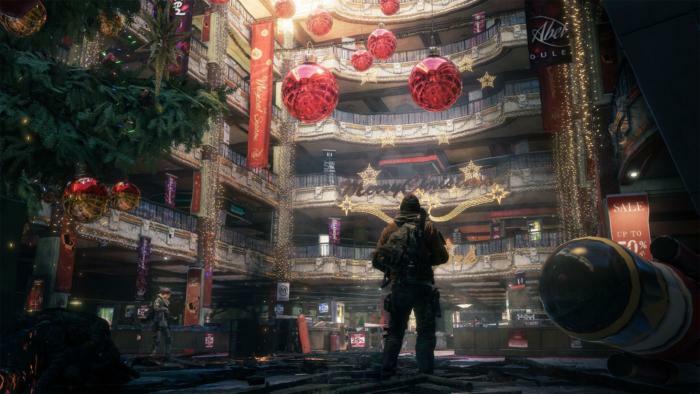 If you’re looking for an excuse to dive into The Division, the game’s excellent new $15 Survival expansion distills the experience into a delectable two hour side-mode that mixes the best parts of the game with elements from the survival and battle-royale genres. Oh, and it’s set in a blizzard too.